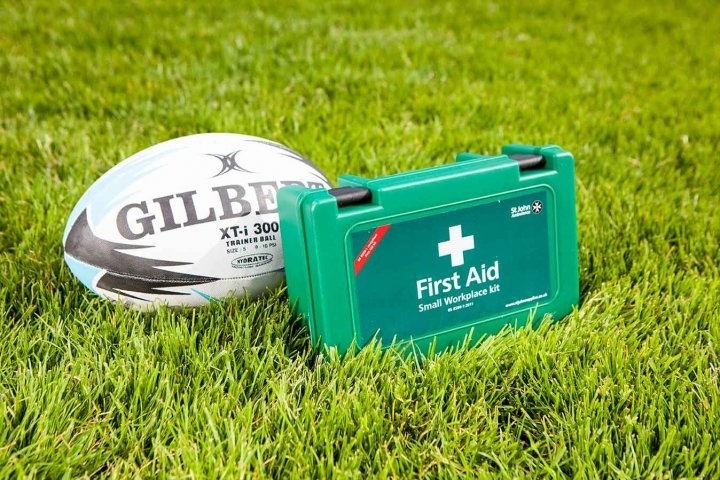 At Aberdeen Wanderers RFC, we aim to deliver a high a standard of first aid at all levels of the club. Our coaches are trained through the National Sports First Aid programme as well as through other recognised courses. Each squad has its own first aid bag which is tailored to the needs of the age group and which contains all the necessary equipment required to provide essential first aid on the pitch. All bags are checked over every week and replenished as necessary. Please note that all inhalers etc. must be clearly labelled with the player´s name and given to the coach before any match/training. There are additional first aid kits in both the clubhouse kitchen and also in the Referee´s Room. Ice packs are made up and kept in the freezer for training sessions and Home matches. Injuries requiring hospital treatment are recorded by the club through the Serious Injury reporting system with the Scottish Rugby Union (SRU). This is done by the squad coach, either online via the SRU website or on a printable form which can be downloaded from the club website. At Aberdeen Wanderers we take concussion very seriously. Following an incident where a player is suspected of having suffered concussion, they will be removed from the field of play immediately and will undergo a full assessment by the first aider present. The player will be given a Head Injury Advice note from the club as detailed in the attached form, and a check-up with the player´s GP is strongly advised. The player will then follow the SRU´s Graduated Return To Play protocol which lasts a minimum of three weeks. Parents of Youth players will be asked to contact their son/daughter´s school to pass on all relevant information to Guidance and PE teachers. Players are fully assessed throughout their recovery period before being cleared to return to play. Please see the attached GRTP guidelines for further information. Aberdeen Wanderers has a registered Physiotherapist who runs a clinic every Wednesday evening from 7pm-9pm; clinic appointments last 20 minutes. This arrangement is free of charge to all fully-registered and paid-up members of club. For Youth players, we ask that a parent/guardian also attends. Our Physiotherapist has full PVG clearance. This is open every Thursday evening from 8pm onwards following the U18´s and Seniors´ training. Stock includes elasticated adhesive bandages and zinc oxide bandages in various widths, also ´Tear-Lite´ tape, sock tape, lifting blocks and Deep Heat spray. The club has a defibrillator which is situated on the shelf of the entrance lobby. First Aiders in the club have been trained in its use; instruction manuals and a CD are available for anyone who wishes to refresh their knowledge.